Merci beaucoup pour ce sew-along et ce merveilleux patron. Voici ma réalisation : une carme bicolore ! Hola Pauline. 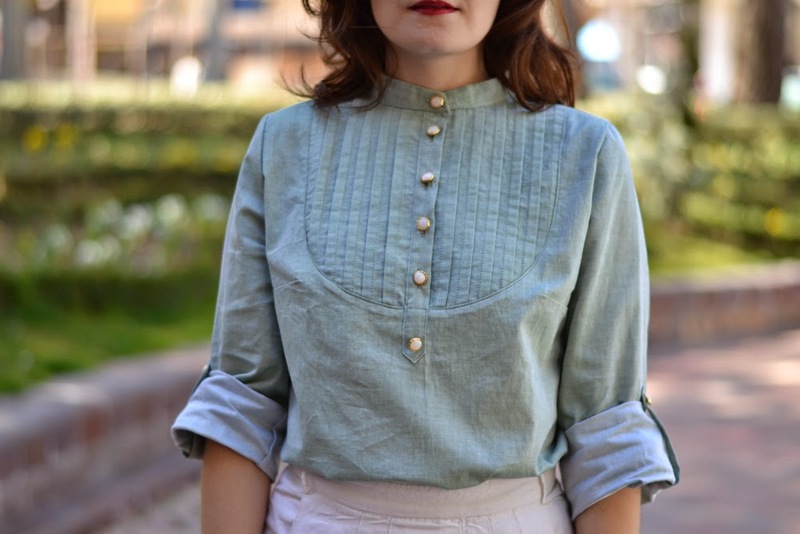 Aqui va el link a mi post de hoy, con tu Carme blouse. Un besito!! I haven't posted my Carme on my blog or Flicker yet (but will), and hope to finish another very soon. Loving this pattern soooooooo much! Very much looking forward to the Carme party and seeing all the different versions!